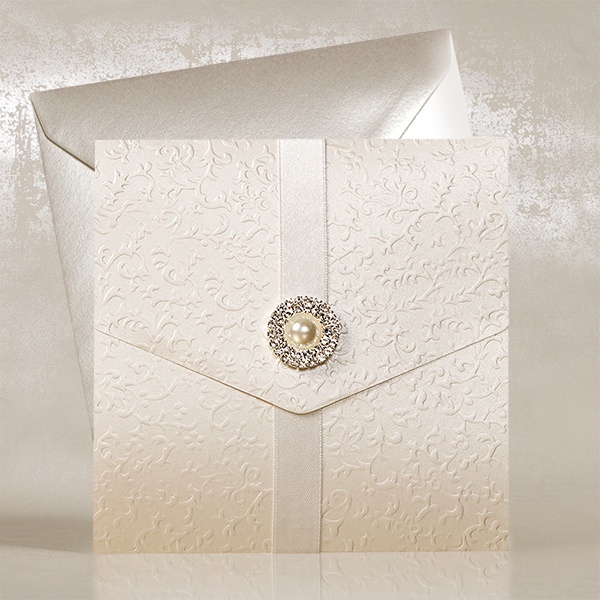 With the help of wedding invitations you actually make an introduction to your special day. 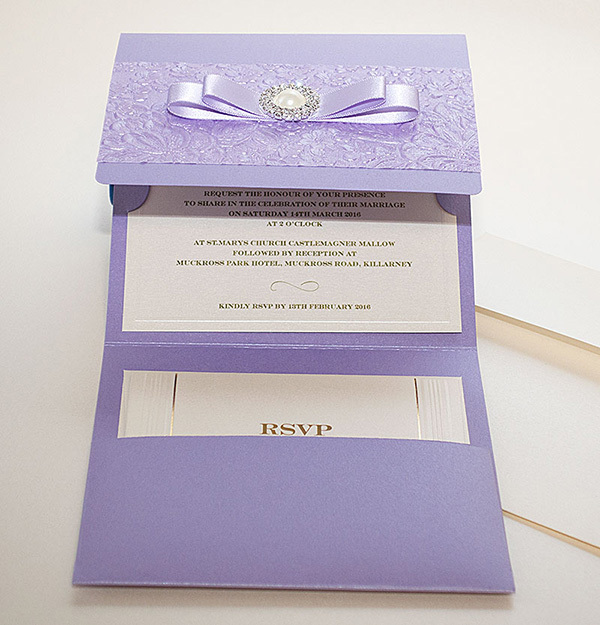 The invite gives a clue to your guests, implying the style of the future event, its format and degree of formality, the " spirit" of your future wedding. 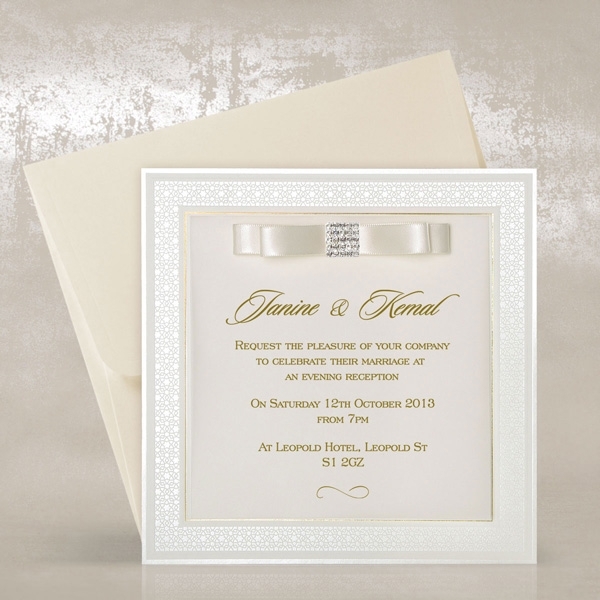 What message do you want to communicate to your guests? 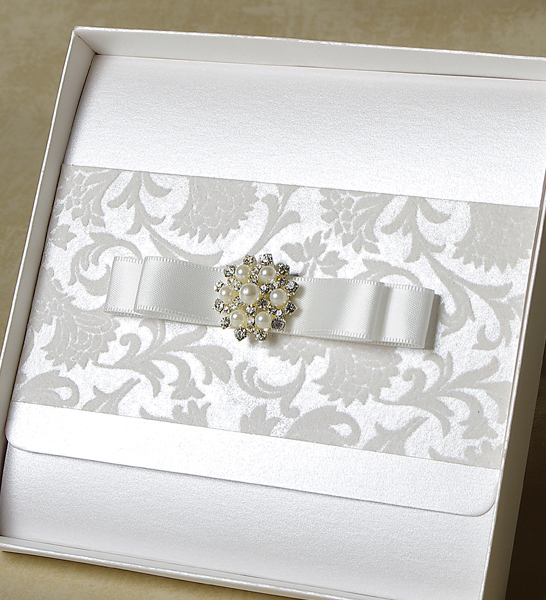 Your wedding - what it will be like? 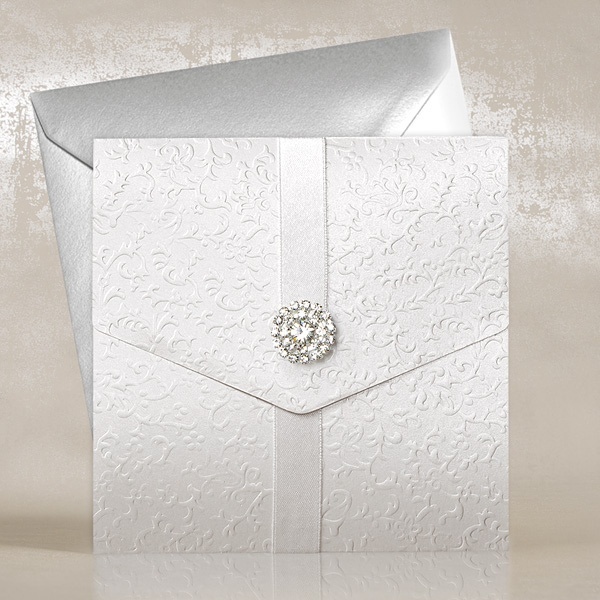 From highly formal to sweet romantic - you can reveal the idea to your friends without saying a word - using our luxury wedding invitations suitable for your unique case. 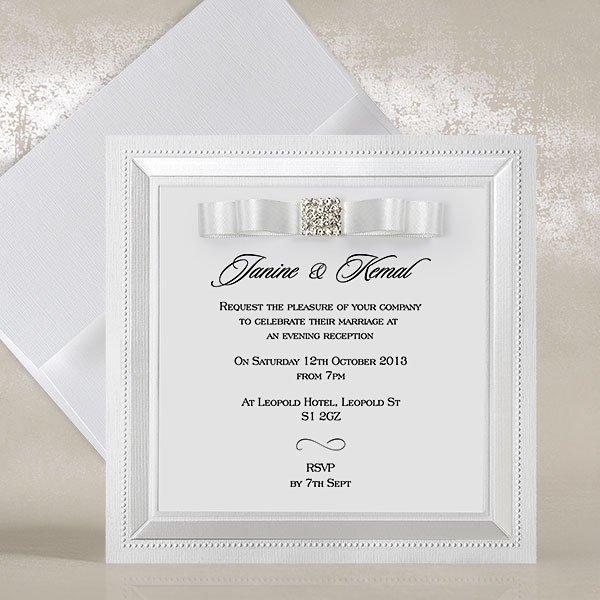 Natural, simple and romantic wedding in an easy, laid-back atmosphere - one of the top wedding trends that inspires couples nowadays. 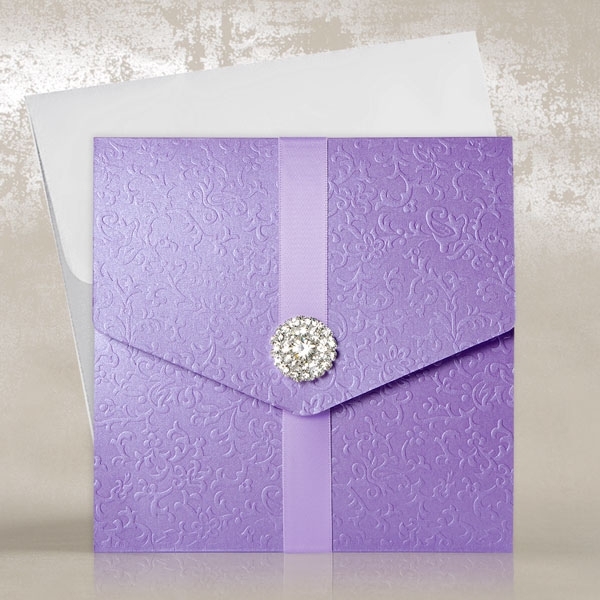 This wedding style suggests the use of floral accents, natural muted colours, countryside details to create a relaxed, carefree feeling : try our Lilac Virginia, Purple Madeline, Rustic Romance wedding invitations created to convey the nature-inspired romance. 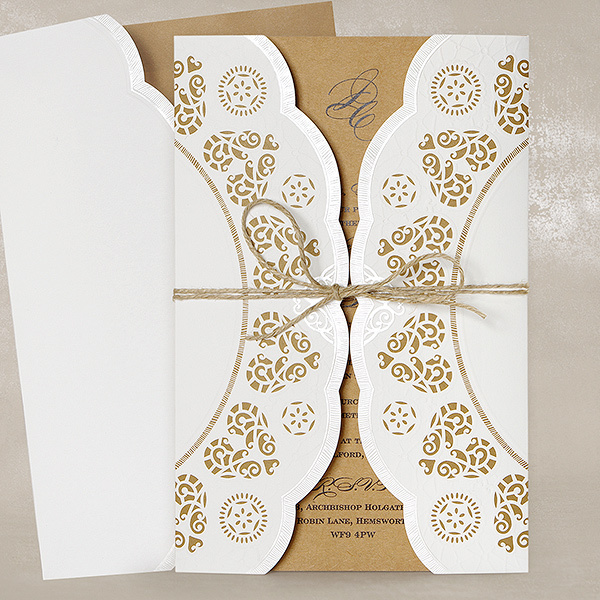 Bohemiam Chic style is the best choice those creative couples who want to make a unique event. This unconventional, inventive theme gives unlimited space for your fantasy. 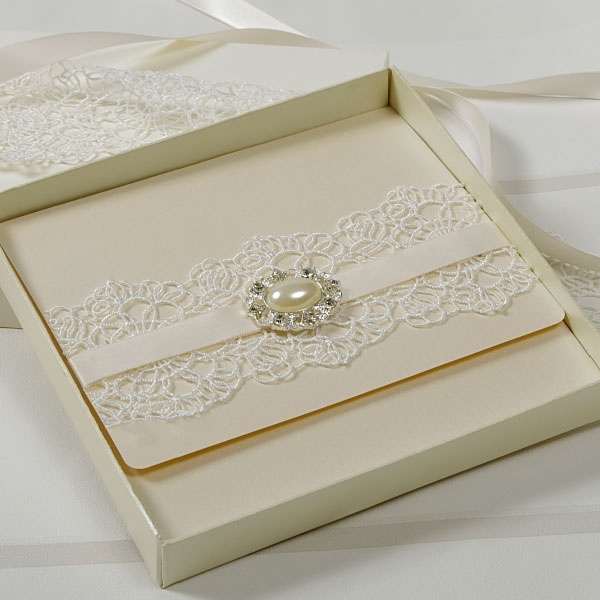 Take the full advantage of boho style and start with unique wedding invitations: our Sophie, Amelia, Sophe Eve and Madeline with their lace details, satin shimmery surfaces, stylish appliques and vintage brooches embody the bohemian chic. 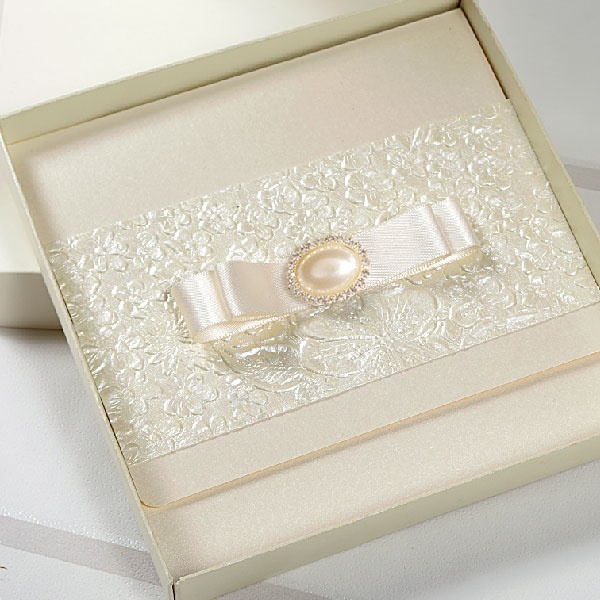 Though highly criticized for its extremities in an extravagance Glamour wedding can be the icon of style if you know to limit yourself and not to overdo with decorations. Its lavishness should be kept in check. 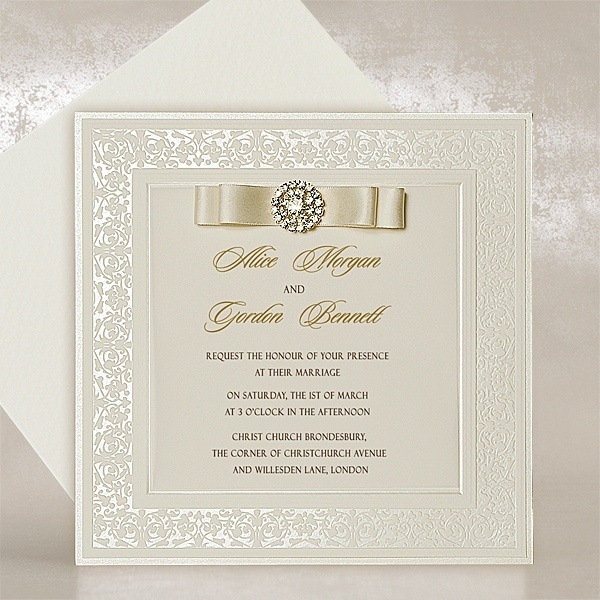 However, the best way to tell your friends that glamour is your wedding style is to say it by means of its essence colour - gold. 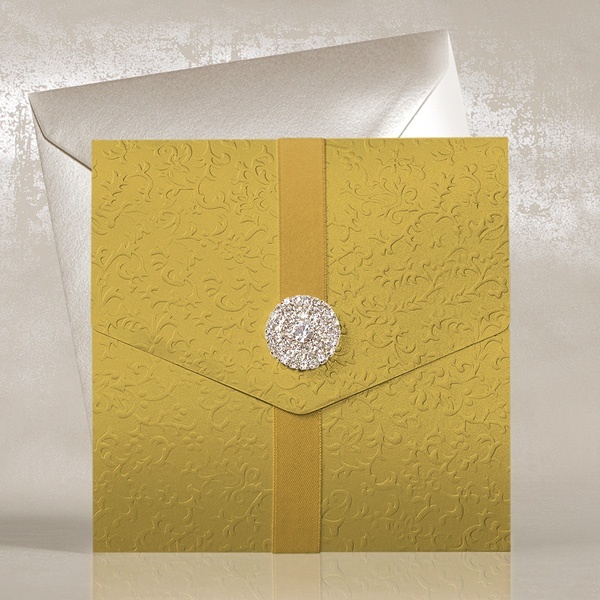 Gold hues are so chic and elegant, if used properly. 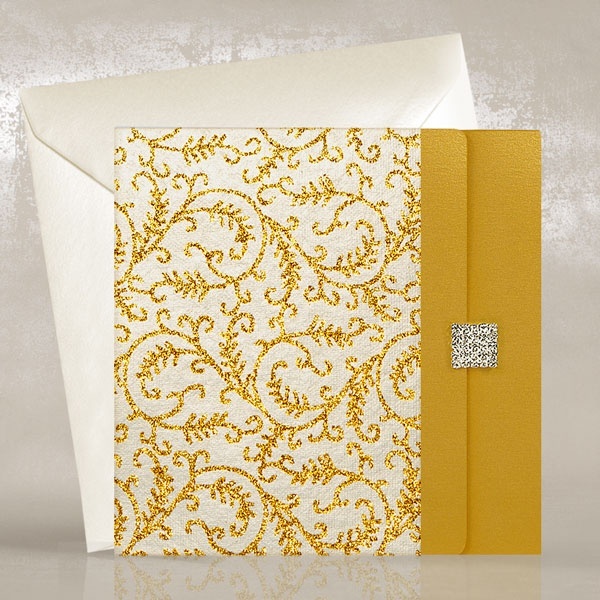 Our Luxury collection boasts two Gold wedding cards in glamour style: Gold Vivaldi and Gold Virginia. 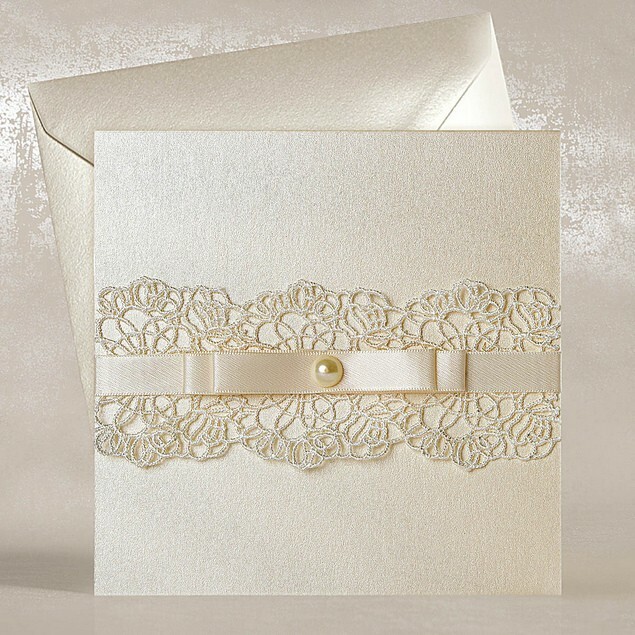 On these cards gold is outlined with diamond brooches to make the sumptuous look, yet the red line is not crossed.